Slow Sleep – the blog of sleep: Not sleeping well? Go to the dentist! Breaking news for sleep medicine: dentists are now in charge. No, this is not another prank born on the Internet. A few months ago the Ministry of Health issued the “National Guidelines for Prevention and dental treatment of obstructive sleep apnea syndrome (OSAS).” OSAS affects up to 4% of men and 2% of women. 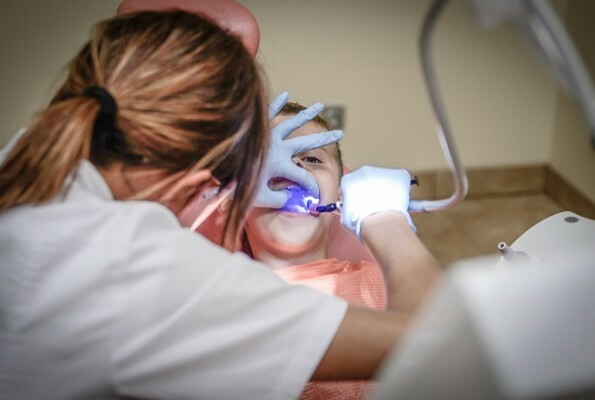 According to the Ministry, dentists are the most suited doctors to evaluate “the accumulation of fat tissues in the under chin area and in the cavities behind the throat that reduce the oxygen supply” and to recommend a therapy with special “intra oral” appliances (OA). Dental treatment for sleep apnea can also be useful to reduce or eliminate snoring via a small device that moves the mandible forward, keeping it closed. In many cases, the device applied by the dentist can be a bearable alternative to the so-called “ventilation therapy“, which forces breathing through a mask. A large number of people poorly tolerate ventilation therapy, while more than eighty percent of patients are able to wear an intraoral appliance without any problem throughout the night. According to information from the Ministry, the consequences of obstructive sleep apnea syndrome are tiredness, drowsiness, headaches, risk of car accidents (3.5 to 8 times above the average), cognitive impairment (concentration, memory and attention problems), mood depression and impotence. The Italian Society for Dental Sleep Medicine has been operating for several years. Therefore, if you have a problem with falling asleep, seeing a dentist would be your best option… and hopefully he won’t find any cavities!